GamesAid voting is open! Here you can find out about each of our 2017 nominated charities. Voting will run from 12pm August 16th – 12pm September 6th. Each GamesAid member will receive a ‘voting card’ email listing this year’s nominated charities. To vote, simply click the VOTE FOR link in the email for the charity you want to support. Check your inbox for your voting card email and remember, each member has ONE vote, so click carefully. Each of our 2017 nominated charities is listed below, with links to their websites if you want to find out more. Access Sport enhances the life prospects of disadvantaged children by providing opportunities to experience and enjoy the power of sport. We do this by building thriving community sports clubs, led by inspirational local volunteers, in the most disadvantaged areas of London, Bristol, Manchester and Oxford. These clubs provide life-changing opportunities for local, vulnerable young people, whilst creating a lasting, locally-owned community resource. Our work supports young people aged 5-25, with a particular emphasis on under 18’s who are disabled, disadvantaged or excluded from society. Last year we developed 143 community sports clubs and helped 9,396 young people enjoy sporting activity. 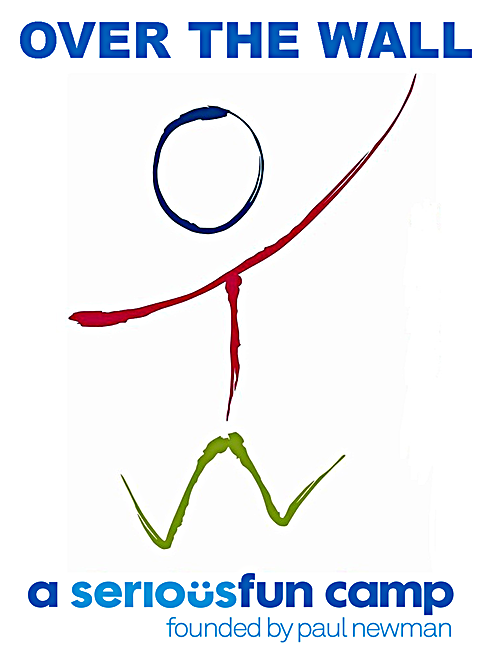 Established, experienced, independent, local charity providing range of innovative services for local children/adults with a disability and their families. Each of the 8 services currently provided was developed in consultation with prospective beneficiaries and is designed specifically to meet a distinct need. We continually monitor and evaluate our services, in particular seeking feedback from service users, to adapt and develop our services in response to this feedback and to the changing needs of those who access them. Services are delivered in ways that respect people with a disability, encourage independence and promote a positive image of people with a disability. We work with 100s of disabled children and young people each year. The right mobility equipment is rarely available from the NHS so we provide specialist manual and powered wheelchairs, trikes and walkers around the UK. Only 6% of disabled adults have a job as compared with 73% non-disabled. Low self-esteem and aspiration and poor expectation from others are the norm and there is a chronic shortage of opportunity. 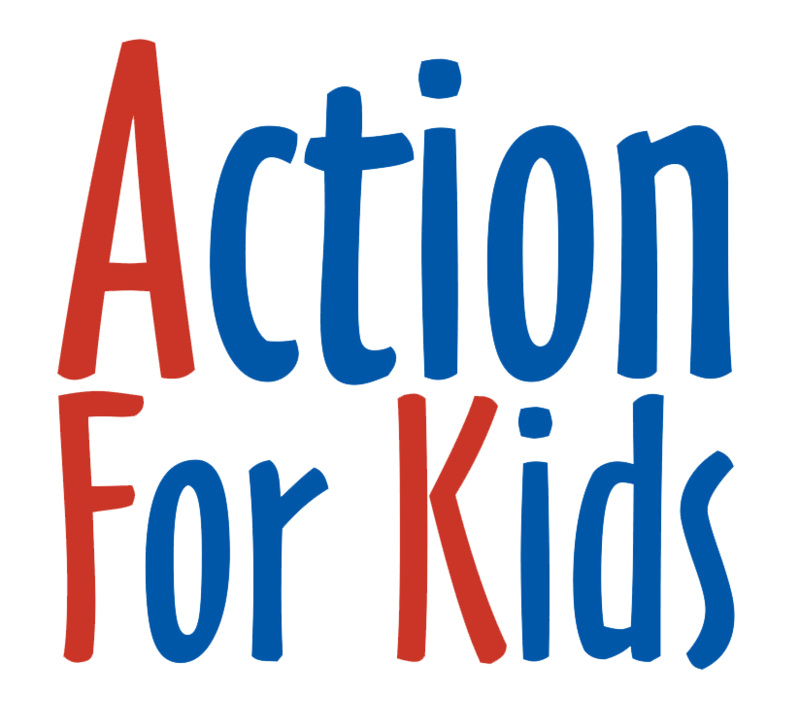 At Action For Kids we recognise each individual’s potential and provide education, training and employment programmes in 8 London boroughs to develop skills, prospects and access to employment. Aidis Trust helps children with physical and learning disabilities to benefit from technology. We have done this since 1975, helping thousands of children across the UK. Our “Everyone Can Game” service adapts computers to help disabled children to get together to play videogames and have fun. We visit disabled children who struggle to socially integrate, helping them to become an active part of a group and form friendships through gaming. We find fun games that suit children with varying levels of learning and physical disability. 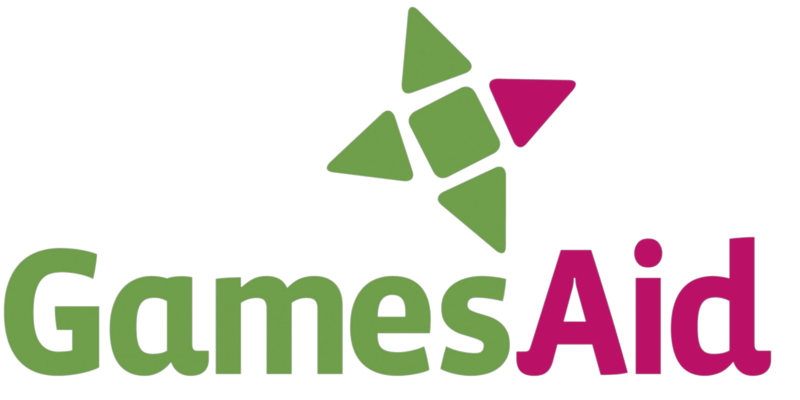 With GamesAid’s support, our small charity can continue this hugely popular service and help even more children. 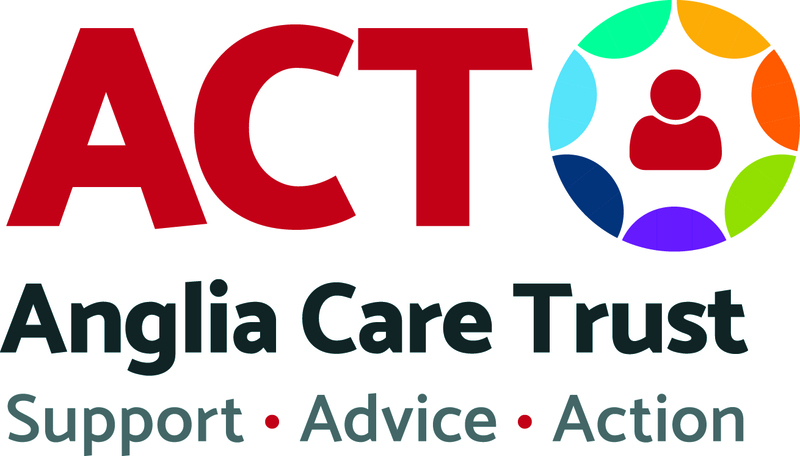 ACT has worked with families, individuals and young people for over 40 years. 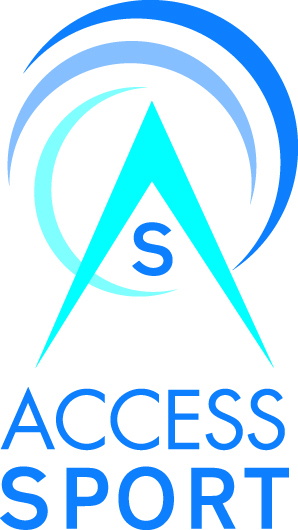 We offer a range of services which can be accessed in a number of different ways. Essentially our services fall into three main categories; Helping people to keep a roof over their heads, helping people to stay safe and helping people to be heard. All of our support looks at the whole person and not just a single issue providing a holistic and whole family approach. We have 60 paid staff and 130 volunteers and if we had to describe ourselves in three words it would be; Support, Advice, Action. Apps for Good aims to unlock the confidence and talent of young people to help them thrive in a tech-driven future. Students work in teams to identify a problem that is important to them, and work to develop a creative solution in the form of an app, game or smart product. Apps for Good is also contributing to a more diverse and inclusive technology sector, focusing resources on encouraging girls and students facing barriers to their success to engage with technology. Since 2010, our courses have been delivered to over 100,000 students in 1,500 schools across the UK. What if your child’s life was achingly different to that of other children? With no government funding and £6 invested per child every year, autistic children have become one of the most vulnerable groups in our society by every measure: education, quality of life, employment and, tragically, many will never see their 40th birthday. Research has the power to transform their life chances, that’s where Autistica comes in. We are the leading national charity for autism research. Our work is entirely defined by the families who live with autism every day and targets the areas they say would make the biggest difference to their children’s lives. We are a local charity improving the lives of unpaid carers in Blackpool, from the age of 5. Carers support loved ones who could not manage without their help. We support a range of carers; from families of children with disabilities to young carers living at home with parental substance misuse or mental ill-health. Our specialist support, respite and outings for carers helps them to create friendships, feel less isolated, strengthen their resilience and make happy memories. These experiences have a positive impact on carers, as they begin to explore what the world outside of their caring role is like. The Breck Foundation believes that all children deserve to enjoy the internet safely; exploring, learning and having fun, while being aware of how to stay safe. We visit schools and organisations all over the UK in order to teach young people the simple rules to help them make safer choices about their online interactions. By equipping young people with this information and teaching them what to do if they have a concern, we can empower them to protect themselves from exploitation as they enjoy their online world. We teach young people to ‘Play Virtual / Live Real’. Every year, thousands of families receive the devastating news that their child has suffered a brain injury. The Child Brain Injury Trust exists to support children and their families on the journey from hospital to home and back to school. We have UK regional Child and Family support services and are helping over 1000 children as they readjust to life after brain injury. We understand what it takes to support families as they come to terms with what has happened and help them to put their lives back together again when there is nowhere else to turn. Clock Tower Sanctuary is Brighton and Hove’s only day centre providing all-round support for homeless young people aged 16-25. The loneliness and fear of homelessness has a disastrous impact on mental and physical health. We intervene early to give hundreds of vulnerable young people the chance to find a home, upskill and get a job. Our Crisis Support helps young people with their immediate needs (e.g food, showers, medical support) and our Move-On Support helps them unlock their potential (e.g. life skills courses, interactive activities, 121 case working). Your vote could save a young person from life on the streets. Footsteps Foundation provides life-changing physiotherapy for children with neurological conditions and over the past ten years has helped hundreds of disabled children to gain in strength, confidence and independence. Children who were consigned to a wheelchair have greatly improved their mobility and even learned to walk through the unique, intensive Footsteps physiotherapy programme. Every developmental milestone we take for granted is harder for these children and so we are very proud of what Footsteps children achieve and we believe every child should have the help they need to reach their full potential. The Haemophilia Society is the only UK wide charity that supports, empowers, provides information and runs events for children, young people, new parents and others who are affected by rare genetic bleeding disorders. We help reduce bullying, isolation and mental health problems encouraging healthy lives. Haemophilia, in particular, means your blood won’t clot, so you bleed longer after injury, bruise very easily and spontaneously bleed inside joints or the brain which can result in severe pain, disability, and seizures. In some cases, death. Treatment involves regular intravenous injections for life. All our work is provided free of charge to families. From the first mark on a cave wall to the first footsteps on the Moon, our greatest developments have begun with leaps of someone’s imagination. The Institute of Imagination exists to support and nurture children by sparking their imaginations and developing the creative skills they will need for the future. The iOi has already worked with over 10,000 children and their families through their dedicated space, the Imagination Lab. A cross between a community centre, a laboratory, a studio, a gallery, science centre and a museum, the Lab is a place for families to make, create, explore and play together. 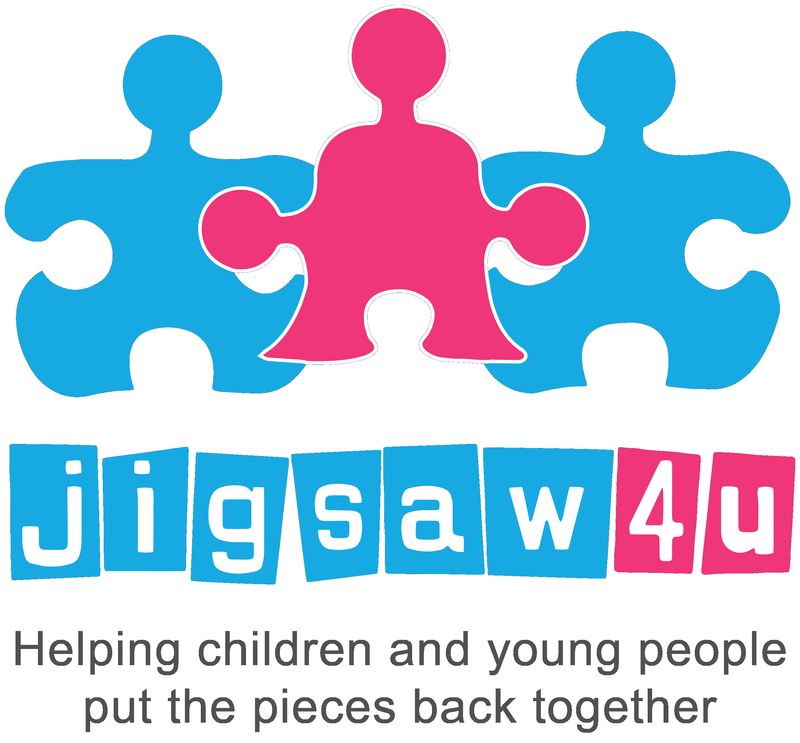 Helping children and young people put the pieces back together for 20 years; Jigsaw4u was formed in 1997 to meet the needs of bereaved children, young people and their families. Over the past 20 years bereaved children have told us that they feel ‘alone and different.’ We undertake family group work and individual support sessions to help children and young people to communicate their feelings and share these in a safe environment. This reduces their feeling of isolation and difference. We help to improve communications in families to ensure that parents and children talk about the person who has died. Lifelites is the only charity dedicated to donating and maintaining specialist inclusive and assistive technologies to help terminally ill and disabled children in every hospice in the British Isles. Thanks to Lifelites these children, irrespective of their disabilities, are able to play, be creative, communicate and control something for themselves. Lifelites provides a package of equipment and services worth £50,000 to every hospice every four years. The package includes technical support, equipment maintenance and staff training, to ensure that the staff can use to its full potential with the children they care for, and it doesn’t cost them a penny. MAPS has been delivering a high standard of mentoring and group work to vulnerable children and young people across South London for over 20 years. We provide every young person referred with a long-term, volunteer mentor who supports them every week for 12 months. Young people are referred with a variety of complex needs that include: self-harm which is an increasing problem, anxiety, depression, bullying, family breakdown, peer pressure, domestic violence, sexual and physical abuse. MAPS expertly place people who listen with young people who need to be heard. Over the Wall provides free-of-charge residential activity camps throughout the UK. We cater each year for hundreds of children with life-limiting illnesses who are socially isolated, lonely, lacking in confidence and self-esteem. Through a deliberate programme of activities that reinforce positivity and are at the same time fun, inclusive and a little bit crazy, we transform their lives. ‘You’ve saved our family and given us our daughter back’ (Jo – Parent). We plan to build a UK facility accessible to EVERY children’s charity and a second in VR, for children confined to hospital or at home by their illness. Pace combines therapy and learning to provide physically disabled children with the skills they need to achieve greater independence. Our approach enhances their education improving movement, communication and selfcare. We lead the way in delivering innovative, effective, specialist provisions for children with motor disorders such as cerebral palsy. Pace services include Child and Family, offering therapy and support (ages 0-18) and our School delivering our unique integrated curriculum (ages 3-16). The environment created by our team of experts is positive, encouraging and fun, the children are motivated by their achievements and their families empowered to care for their child with confidence. What is unique about Parenting Special Children, and important to the families who receive our services, is that all the staff, trustees and volunteers are parent/carers of children or young people with special needs. All the facilitators of our services have a professional background which enables the charity to deliver a professional service and this is valued by families and health, social care and education professionals who refer families to the charity. School of Hard Knocks uses sport to tackle unemployment, crime and poor health. We help people take responsibility and take positive steps forward in their lives. We offer a range of programmes, all with our unique methodology – controlled confrontation, challenging activities and a constant affirmation of self-worth. We run courses throughout the UK, changing the lives of children and adults using rugby, boxing and strongman courses, supported by a curriculum of powerful life lessons. We work with unemployed adults to find and sustain employment; and with school children at risk of exclusion to help them reengage with education. Solving Kids’ Cancer is working to defeat neuroblastoma – an aggressive childhood cancer – and to support the families fighting it. Neuroblastoma mostly affects babies and toddlers and takes a life every 10 days in the UK. We are working to save children’s lives by funding clinical trials, enabling access to potential new treatments whilst advancing science to find a cure for future generations. We also provide information and support to families throughout their journeys to help them deal with the unique and complex challenges the disease presents. SpecialEffect is the only specialist UK-based charity dedicated to helping ALL people with disabilities enjoy video games – from people who have suffered accidents and strokes to young disabled people who can’t play any other way, whether they are in a hospital, hospice, rehabilitation centre or at home. Their team not only provides games access assessments and loans but they’re also changing the way the whole WORLD plays through collaboration with developers. Their rapidly expanding reputation has meant an ever-growing demand for their services including loaning cutting edge control technology such as gaze-controlled computers, worth several thousands of pounds. At Sports Connection Foundation we believe that sport is one of the most powerful tools on the planet, and it has the greatest impact on the lives of children and young people when it’s being used for social good. We are committed to helping educate thousands of children every week in fun and practical ways, using sport to teach about global citizenship, hardship and poverty that other children face throughout the world. We visit schools across the UK to work with disadvantaged or troubled children of all types, girls and boys of all different races. In addition, we also support seriously ill children and work with various foundations so they get the chance to meet their sporting heroes. Thomley enhances the wellbeing of disabled people of all ages and impairments by providing a wide range of recreational, play and creative activities. Research shows disabled children/young people face up to twice the level of bullying as that of their non-disabled peers. Limited opportunities and increased levels of bullying creates a “double disadvantage” for these children/young people. 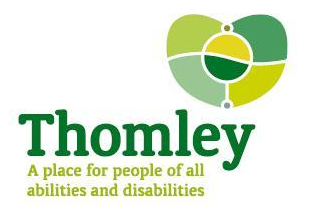 Thomley has the skills, experience and expertise in providing a wide range of active/creative recreational activities, supporting the development of social skills, confidence and overall wellbeing to minimise the negative impact of this “double disadvantage.” 7,300 annual visits from disabled people would agree. The Wilderness Foundation UK is a socio environmental charity helping young people reconnect through outdoor adventure by highlighting the positive impact of nature on the health of the individual, society and the planet. The mission is to change lives through outreach programmes that educate, inspire and reconnect young people facing a number of challenges in their lives. These programmes aim to equip and enable young people to acquire skills from within themselves to navigate their futures safely and successfully. Alongside these programmes the foundation also runs the award winning Chatham Green project; a conservation and education initiative, growing understanding of the balance of food, farming and nature on 400 acres of farmland in the heart of Essex. 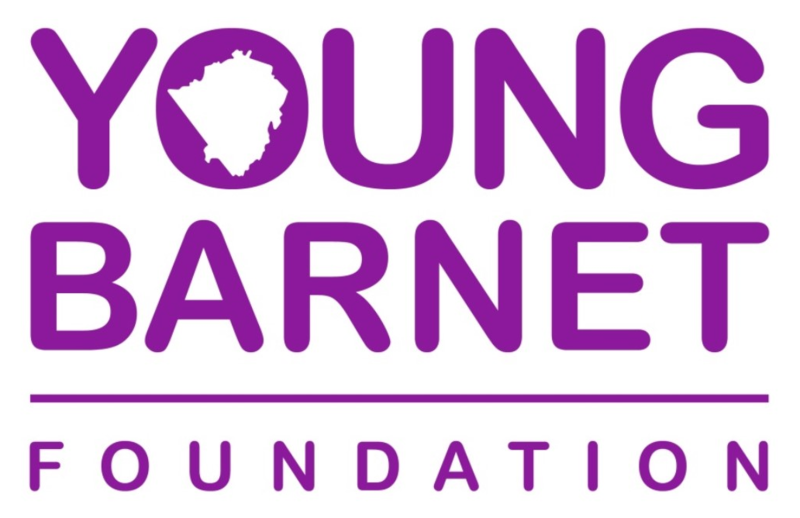 Young Barnet Foundation grows activities, services & opportunities for children/young people, many living in poverty or with low level mental health needs, (currently 17k/25k respectively). Helping them achieve their potential by creating safe spaces in local communities to build trusted relationships beyond family and formal education, supporting them with a range of funded projects including sports, drama, employability, social inclusion. Tackling such issues as gangs, domestic violence and holiday hunger. Creating a level playing field for all children & young people – investing in lives and investing futures. YoungMinds is the UK’s leading charity committed to improving the emotional wellbeing and mental health of children and young people. We exist so that young people have the strongest possible voice in improving their mental health. We strive to make sure everything, from Government policy to practice in schools and services, is driven by young people’s experiences and aspirations. We support parents to help their children through difficult times, we equip professionals to provide the best possible support to the young people that they work with, and we empower young people to change their world.